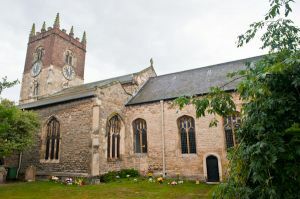 The church of All Saints in Market Weighton is a large building with roots going back to the Saxon period. 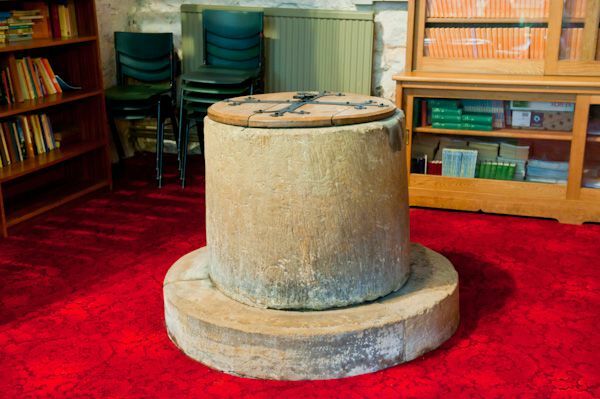 The Saxon connection is maintained with a simple tub font at the west end of the church and herringbone stonework at the base of the tower. The first written record of a church here comes from the early 12th century when Henry I granted it to the Cathedral Church of St Peter in York as a prebendary church. Apart from the apparently Saxon stonework in the lower section of the tower, the oldest part of All Saints is the tower, of which the lower part is Norman. The tower arch dates to 1200, as does the north chancel arch. 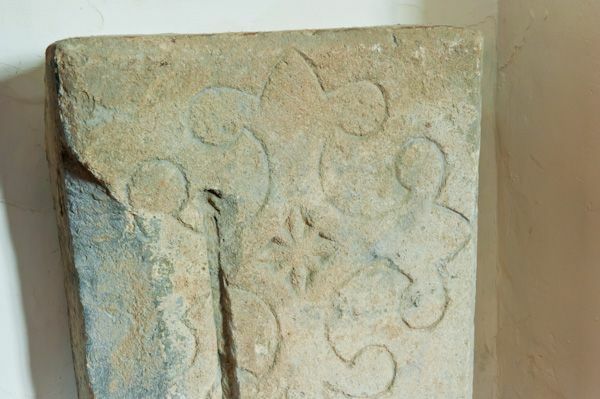 A solitary medieval grave slab has survived the passage of time; this is displayed upright behind the pulpit. The carving is beautifully done, consisting of a bracelet style cross with a small star at the centre. The north-west corner of the south aisle was used as a schoolroom between about 1610 and 1842. Odd marks at the base of two pillars show where pupils sharpened their iron styluses. By far the most intriguing historical aspect of All Saints is a pair of monuments on the west wall of the nave. 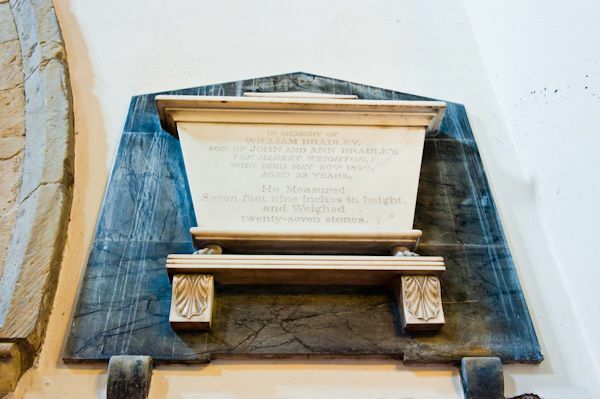 The top monument is to William 'Giant' Bradley, the most famous native of Market Weighton and the tallest Englishman ever born to date. Bradley was born at Market Weighton in 1789 (to parents of quite normal height). He grew to a full height of 7'9" (about 2.37 metres), and made a living exhibiting himself at fairgrounds around the country. 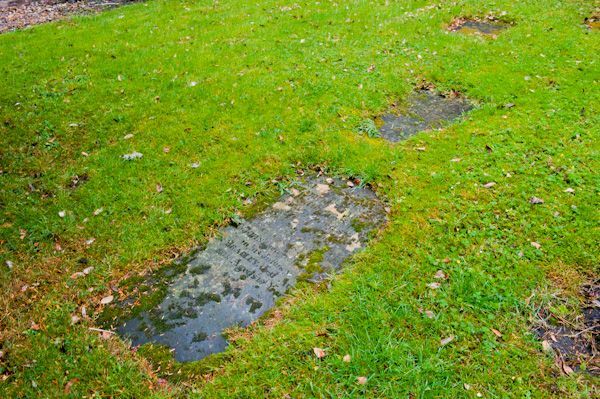 The simple grave slab of Bradley's parents lies immediately opposite the main church entrance. 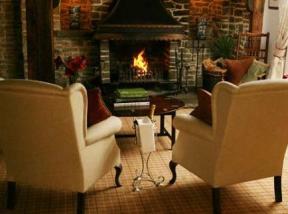 Bradley himself was originally buried in the churchyard but later brought inside the church for fear of grave robbers. His skeleton was discovered during repairs, at the west end of the nave aisle, just east of his memorial. Below Giant Bradley's memorial is a plaque to Sarah Andrews, born in Market Weighton in 1774. 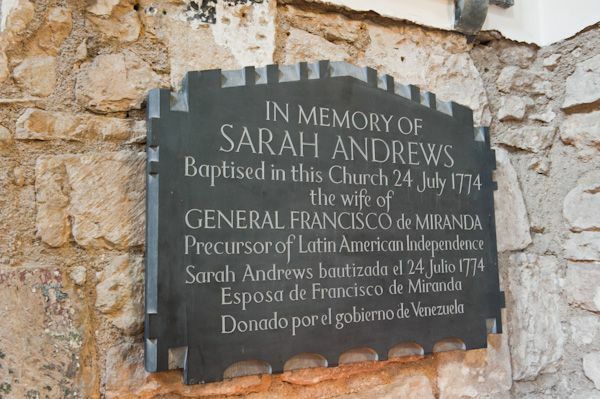 Andrews married General Francisco de Miranda (1750-1816), who fought with Simon Bolivar to free South America from Spanish rule. The plaque was unveiled by the Venezuelan ambassador to the UK in 1981. One other plaque is worth mentioning; on the north aisle wall is a board describing in great detail the charitable bequests of parishioners. 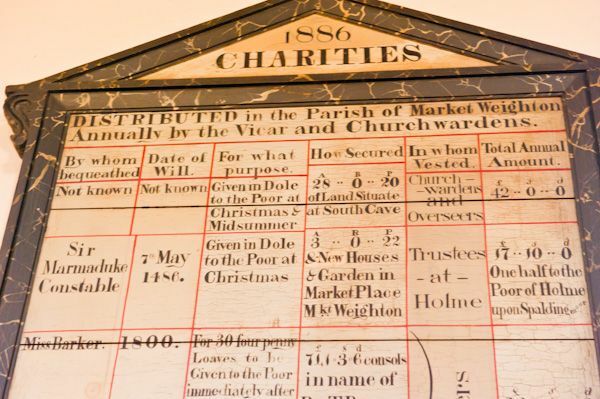 It reads like a spreadsheet, with rows for donors and columns for categories such as 'Date of Will', 'For what purpose', 'How secured', 'To whom invested', and 'Amount'. A wonderful social history resource. 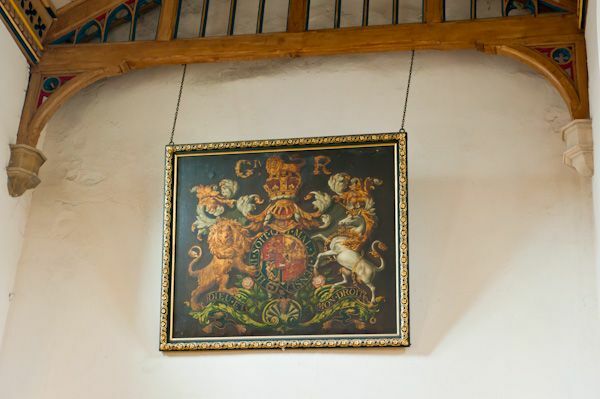 The interior features many examples of work by the Thompson 'Mouseman' studios of Kilburn, including choir stalls and candle holders in the sanctuary. 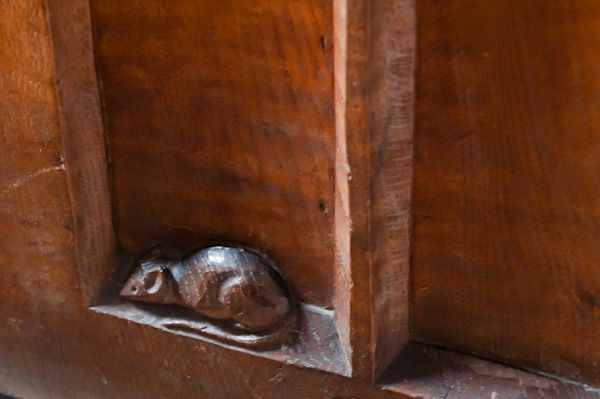 Each boasts Thompson's trademark mouse, and children will have a great time finding all 7 mice hidden around the church!